There’s nowhere else like the Magic Gardens in Philadelphia. 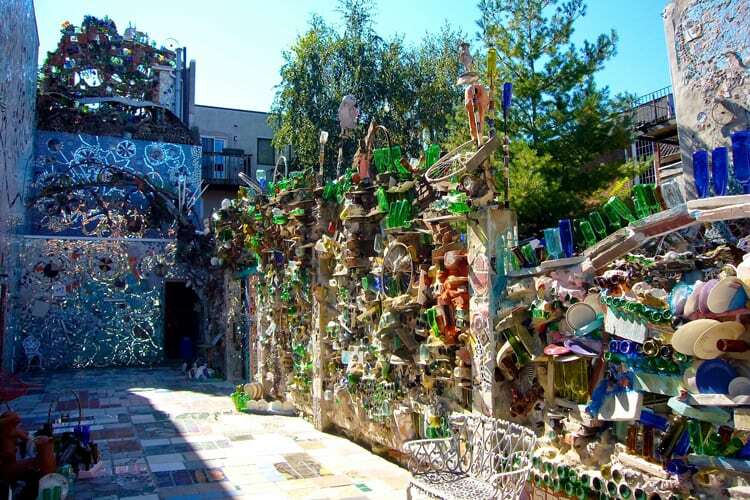 Isaiah Zagar’s walkable wonderland teems with colorful glass bottles, handmade tiles, and thousands of mirrors. It’s romantic and trippy. 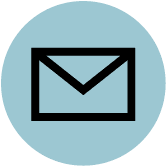 Scope it out ahead of time to find your perfect proposal spot, take your future bride at an off-time like a weekday, and buy tickets in advance. This place was made for pictures, so enlist a photographer friend to capture the big moment from a hidden location. 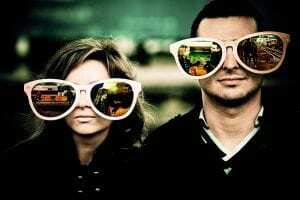 Double check your plans with the photography policy and consider chatting with staff to work out the details. 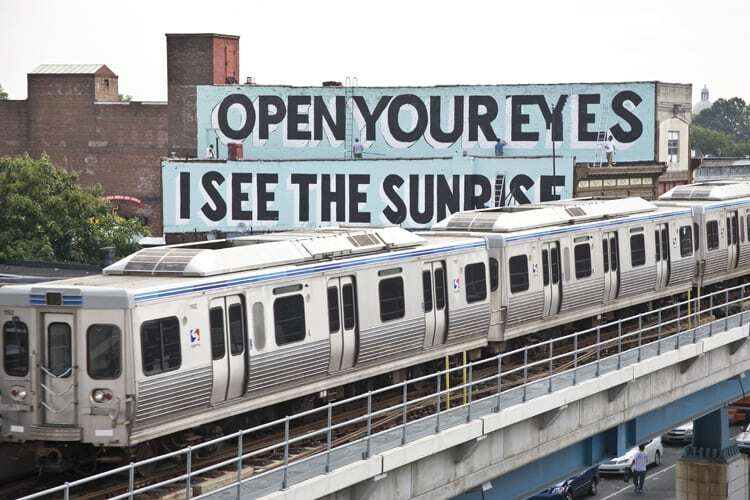 The Mural Arts Love Letters series in West Philly consists of 50 love-themed rooftop murals best seen from 45th to 63rd Street along the Market-Frankford elevated train line. Mural Arts leads tours on the train with stops to view the artworks. 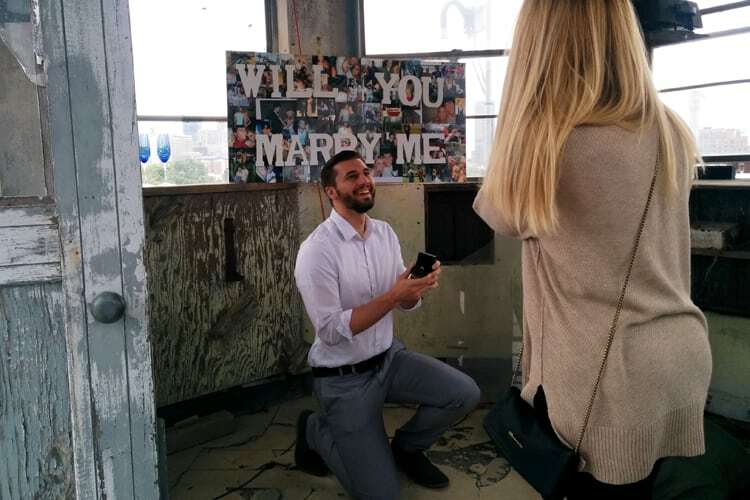 Here’s your plan: Book a tour in advance, give Mural Arts a heads up, and ask for help picking the perfect place to drop to one knee, and have friends and family wait at the stop to catch the action (and snap pictures). Romantic and oh so Philly. According to the U.S. 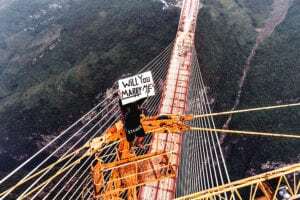 Hot Air Balloon Team, no one has ever said “no” to a proposal on one of its flights—so you have that going for you. Make 100% sure she’s not afraid of heights and then book a private flight for two ($750). The hour-long ride soars over vineyards, horse farms, and foliage (if it’s too hard to pronounce just say changing color in autumn). Your pilot is experienced in taking photos and champagne is served upon landing. 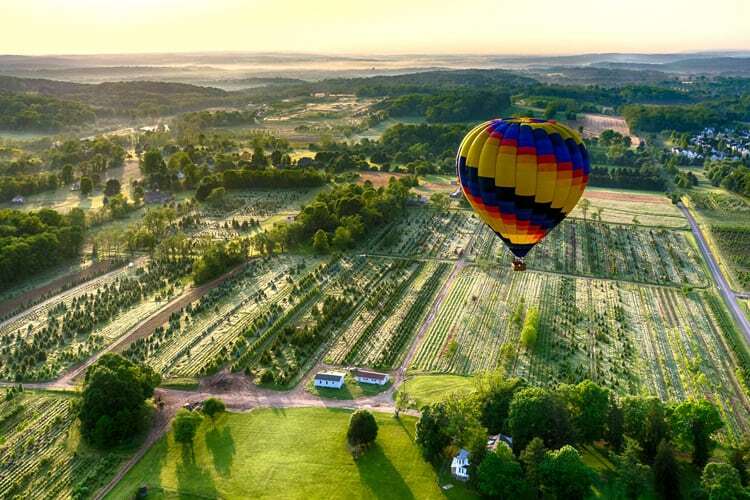 The balloon launches near the charming town of New Hope at The Inn at Barley Sheaf Farm, known for its gourmet dining and all-natural spa. 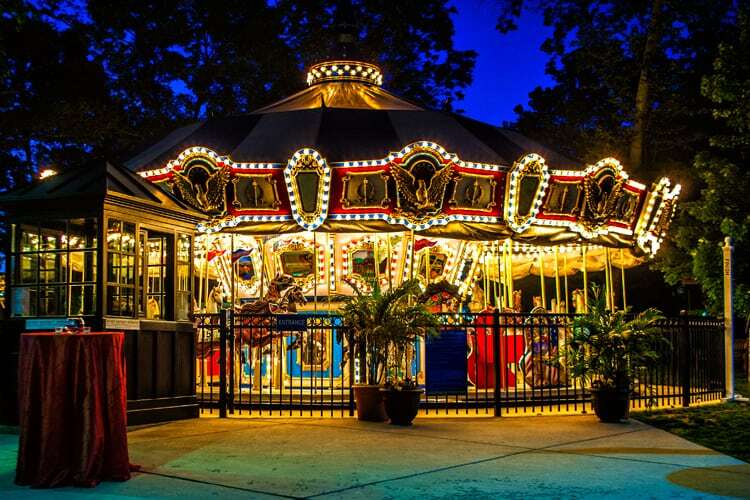 Book dinner or an overnight stay to extend the fun. It’s super important to be prepared for what happens after the yes. 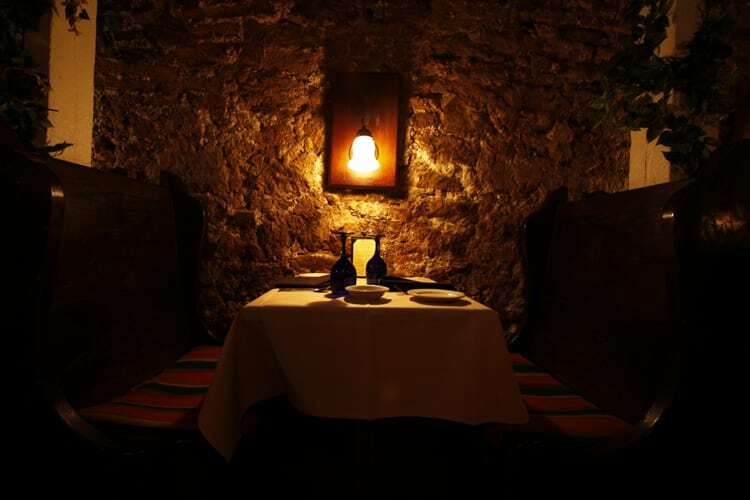 Go underground at Bistro Romano for a proposal that’s all wine and roses. Literally. The Society Hill restaurant’s subterranean wine cellar can be booked for a private dinner that’s ideal for an engagement. The secluded table for two is covered in rose petals, lit by candles, and surrounded by picturesque bottles of aging wine. Book it well in advance by calling (215) 925-8880 and note that there’s a $15 charge to use the room, plus the cost of dinner which will likely run $100-$200, depending on your appetites and taste in wine. Just so you know, this is the only type of proposal setting we can help you with. 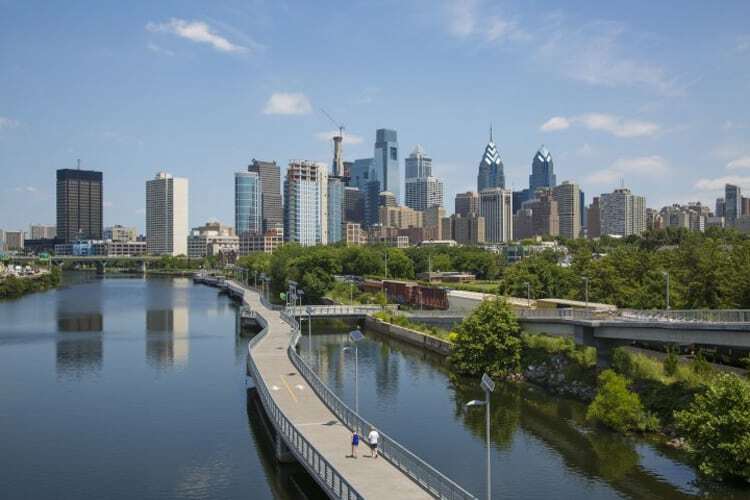 Connecting two trails, the 15-foot-wide concrete Schuylkill Banks Boardwalk juts out from land and hovers over the water. The picturesque location and impressive skyline views have made this new Philly landmark popular among runners and cyclists. Fit couples will find it a fitting place to get engaged. No advance planning or added expense with this one. Just take a mid-run break to admire in the views and break out that ring (remember the proposal location isn’t the only type of setting you need to figure out). If greenery is more your thing than cityscapes, tree-lined Kelly Drive comes in a few miles up the path. If your lady is an art lover or Francophile, take her to the Rodin Museum. It’s the largest collection of sculptor Auguste Rodin’s work outside of Paris. 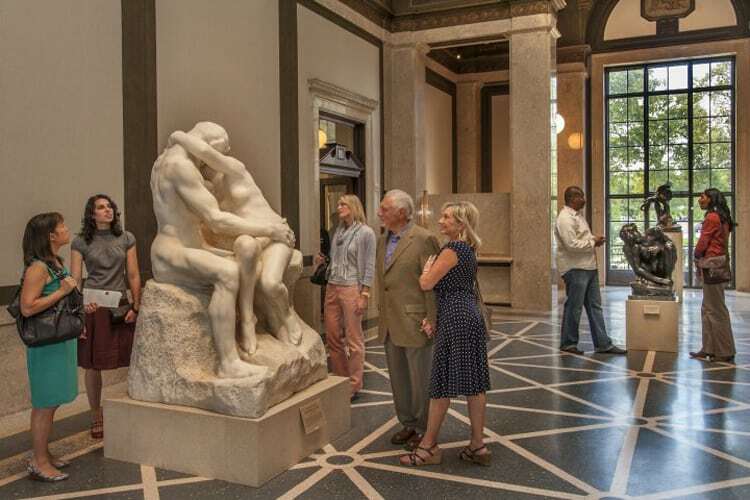 His fixation with romance can be seen in his intimate “The Kiss” sculpture and others focused on couples embracing, kissing, and tumbling throughout the museum. With a pay-what-you-wish policy, there isn’t much pre-planning required for this one. Pop the question inside the museum among the marble lovers or outside in the garden surrounding the elegant reflecting pool. 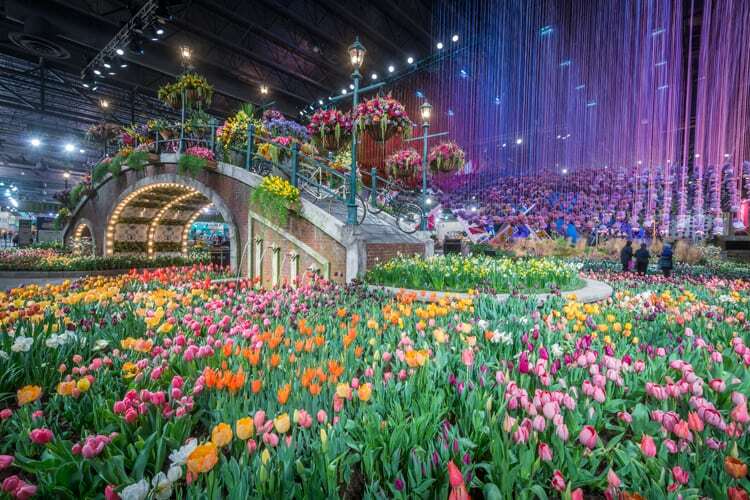 Just as the winter weather is starting to break, the Philadelphia Flower Show opens each March. Started in 1829, it’s now the nation’s largest and longest-running horticultural event. This isn’t just a bunch of blooms. Think grand landscaped displays with water features, structures, and interactive elements like bridges and rock tunnels. Go alone ahead of time to find the perfect spot and then buy tickets in advance for a less-crowded time of day (mornings, weekdays, and Sunday evening). Tip: go early in the show when the flowers are still in peak bloom. This sounds like a weird one, but stick with us. If you and your girl love zombies, horror movies, or just Halloween in general, consider Terror Behind the Walls at Philly’s massive decommissioned Eastern State Penitentiary. Throughout the former prison, there are six haunted house-style attractions, each in a different cell block. At the end, you’ll make it to the “The Yard” which has food and drink stands, plus a dancing zombie SWAT team. The perfect spooky soiree to pop the question. Maybe even have some friends and family waiting out there for the big moment. The Speakeasy at Al Capone’s Cell is also a popular engagement spot, according to staff.